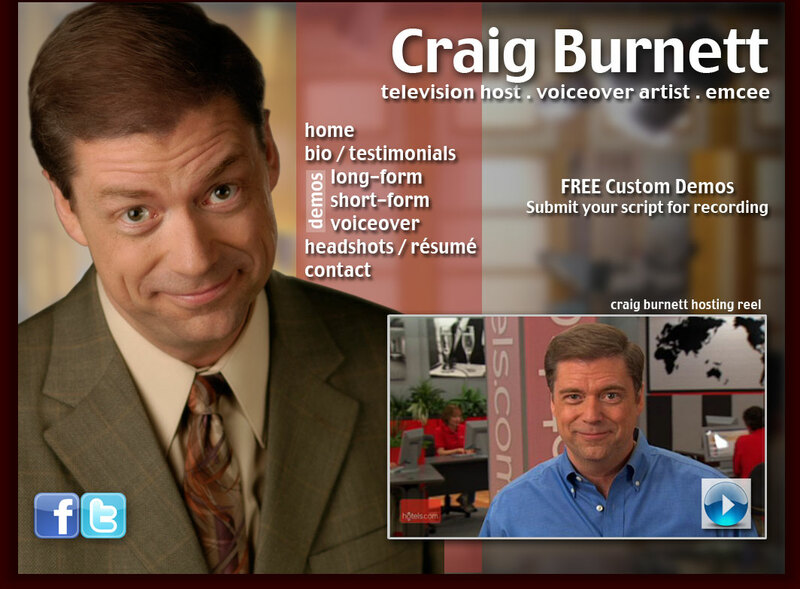 Most voice over artists, on-camera artists and emcees are simply talent, but Craig Burnett is an infomercial host, on-camera talent and voice over talent unlike any other. He is also a director with more than 20 years of experience directing actors, radio announcers, and regular people for infomercials, DRTV spots, narration, character voices, telephone messaging, website videos and imaging. Craig is an on-camera professional spokesperson and infomercial host with amazing Ear Prompter skills, and he has also appeared in every imaginable variety of voiceover, direct response (DRTV) and on-camera project for more than two decades. Because of his vast experience, he can give you exactly what you need, in a fraction of the time. Plus you can connect with Craig via Source Connect anytime. Click above now for your FREE custom demo, including FREE video demos from your script in just hours!